Assemblywoman Crytal Peoples-Stokes is said to be lobbying for an appointment to head UB's Education Opportunity Center. The Public Record: Peoples-Stokes Looking for a Job? Reports from the patronage merry-go-round: Last week, Masten District Councilman Demone Smith announced that he would leave that office to become the head of the Buffalo Employment Training Center. That patronage plum last belonged to Antoine Thompson, who represented Masten on Buffalo’s Common Council before Smith, left that job to become a state senator, then lost that job after two terms. Thompson resigned from BETC last year to run a primary challenge against Assemblywoman Crystal Peoples-Stokes. Peoples-Stokes, meanwhile, is rumored to be lobbying hard to be named director of the University at Buffalo’s Educational Opportunity Center. The Buffalo EOC is one of 10 in the state, and it provides literary training, GED and college prep classes, and various other educational programs to prepare low-income and non-traditional students for higher education and jobs. This is something of a surprise: Peoples-Stokes has been rising through the ranks in the Assembly and is tight with new Assembly Speaker Carl Heastie. Her decision to embrace that career trajectory rather than commit to a run for mayor in 2017 is reportedly what caused Darius Pridgen to implement the coup that made him Council President, thus moving himself to the front of the line of potential successors to Mayor Byron Brown. So why is she pushing for a patronage job that will take her out of politics? Here’s a better question: Why is she being considered for a job whose present and past occupants have had serious academic credentials? The current director, Julius Gregg Adams, has a PhD in education psychology; his salary is $119,000. Adams’s predecessor, Sherryl D. Weems, also has a PhD; she was making about $150,000 when she retired. 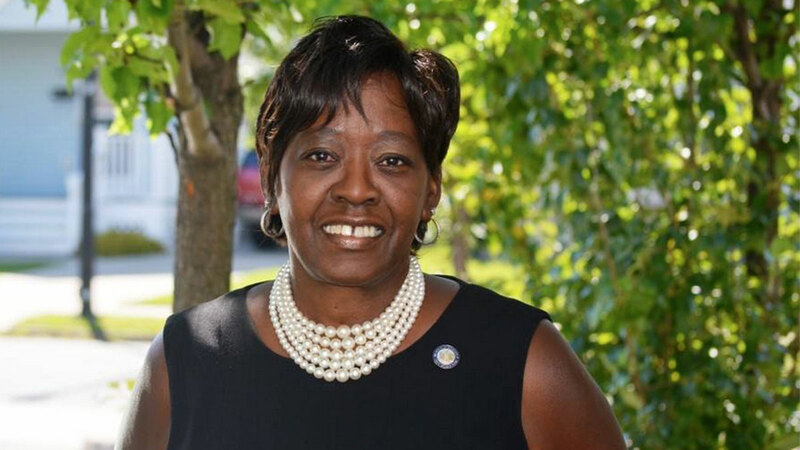 Peoples Stokes has a master’s degree in student personnel administration; the base salary for a member of the Assembly is $79,500, though she makes more than that, thanks to committee assignments and per diems. The price of Fosdick Field: The plans to restore Fosdick Field to City Honors march forward, and you can read more about those plans at dailypublic.com. In this column, we have some questions about the costs and who’s paying them. The Buffalo Municipal Housing Authority bought the four acres adjacent to City Honors from the city in 1977 for $15,000 and built Woodson Gardens, a 14-building public housing complex. Due to environmental issues, deterioration, and vacancies, Woodson Gardens was razed in 2013. That’s when the school began advocating for the property’s return. Not long after the housing complex was demolished, Joe Mascia, an elected commissioner of the BMHA, drafted a resolution recommending that BMHA simply give the four acres adjacent to the Buffalo Public Schools; the only cost to the schools would be the cost of the demolition—about $500,000. That resolution went nowhere, opposed by appointed BMHA commissioners, who are all selected by Mayor Byron Brown. How bad is BMHA’s situation? BMHA’s fund balance has dipped below HUD’s guidelines. Union officials have complained to HUD that they are worried about the authority’s ability to make payroll. That may be why the projected price for the property in question has risen to $2.1 million. HUD’s position on the price is, we are told, somewhat contradictory: It does not require BMHA to sell at the highest possible price, but HUD wants BMHA to get as much money as it reasonably can, in order to restore its depleted cash reserve. We are told that HUD wants BMHA to receive cash upfront—not just a down payment while City Honors runs a capital campaign. Finally, we are told that HUD wonders if the $2.1 million assessment might be low, given that this property sits on the northern end of the medical corridor, where so much economic activity is centered. At Tuesday’s press conference, when City Honors revealed its $5 million plan to acquire the property and build new athletic facilities on the site, Mayor Byron Brown suggested that the city could be relied upon to help fund the project. Perhaps the mayor sees here an opportunity to help prop up the beleaguered administration of BMHA, whom he installed and who have been a consistent source of embarrassment. He cannot transfer city money directly to the authority’s deficient bank accounts, but he can provide money the Buffalo Public Schools to help City Honors buy BMHA’s property. Which amounts to the same thing. So the City of Buffalo, which sold the property for a song 38 years ago, will now help to pay market price, or something close to it, to get the property back—largely in order to bail out BMHA and its management. Christmas in July: Coming soon to this column—July periodic campaign finance disclosure reports. Arriving just six weeks after the raids on the homes of political operatives Steve Pigeon, Steve Casey, and Chris Grant, this year’s should be a treat.